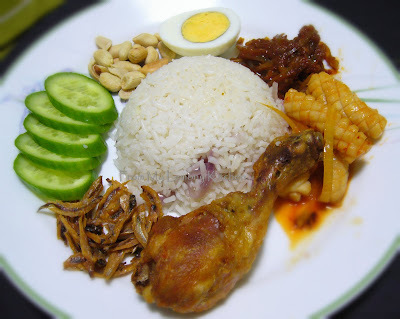 There were days .... my mom would buy from the 'Mamak Kuih' who would come round the kampung, early in the morning on his bicycle....A packet of Nasi Lemak was only 20cents back then... wrapped in banana leaves .....with ikan bilis or half an egg... Northern Nasi lemak has been compromised in taste and presentation..... sigh!!! !